I recently discovered the Indie Lee Brand while checking out some skin care reviews at dermstore.com – one of my new favorite sites to find green beauty products. 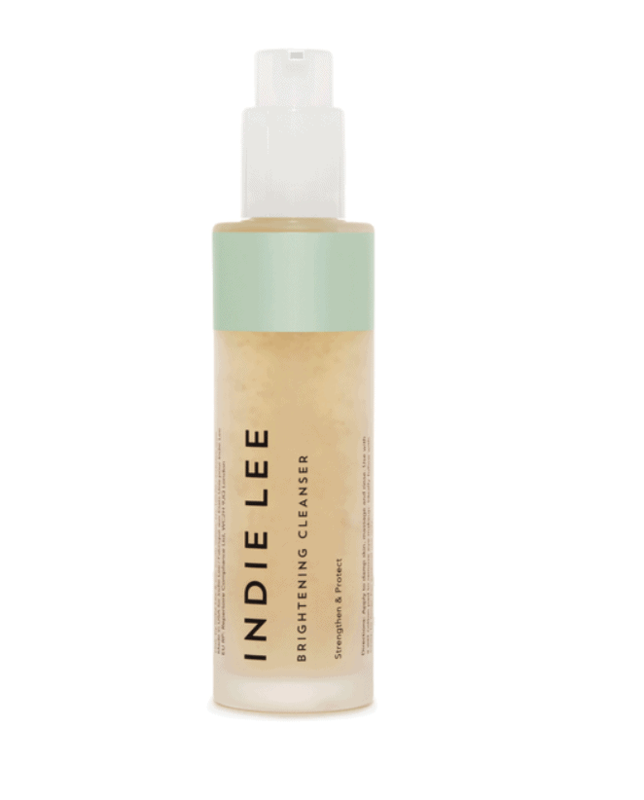 Note – I first tried Indie Lee’s COQ 10 toner that had so many raving reviews on their site and fell in love instantly with how well this toner felt on my skin. Click here to read more on the COQ 10 toner. My first impression was “meh, it’s okay”. Don’t get me wrong, I really do like it. But compared to the DHC Deep Cleansing Oil I instantly fell in love with this was harsher on my skin and left my face feeling dry at times. Keep in mind I live in Las Vegas (VERY dry climate) and have dry skin already. So if you have oily skin, or live in a more humid climate this really could work perfect for you. The ingredients are all non-toxic and natural which is always my number 1 concern after the health nightmare my life has been trying to recover from a chronic illness (POTS) that left me unable to even sit up in bed without passing out for 2 years. But don’t get me started on that..haha! Apply to damp skin, massage and rinse. You can use it with a wet cotton pad instead of your hand to help remove eye makeup. Works perfect with the CoQ-10 Toner. You can leave it on for 5 minutes after massaging it into your skin to double it as an exfoliator. A bonus for sure! If you guys use this one let me know how you like it! Comment below and let me know which natural facial cleanser is your favorite!